“Evangelicals who would catechize today need to properly identify the appropriate “vis-à-vis” for their own catechetical ministries. In other words, when we say, in effect, “You have heard that it was said … but the Scriptures say to you” we need to be clear about the influences that have been speaking into the lives of our congregants. Catechesis must always be attentive to the counter-catechesis at work in our lives. Earlier we dealt with the causes and consequences of the uncatechized church. In reality, however, all our members actually have been catechized—thoroughly so—in competing worldviews. 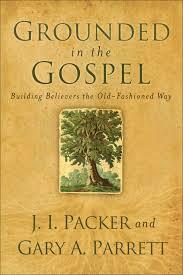 J. I. Packer and Gary A. Parrett, Grounded in the Gospel: Building Believers the Old-Fashioned Way (Grand Rapids, MI: Baker Books, 2010), 162, 191–192.